Misidentifying with Microsporum gypseum has for a long time been accounted for less prevalence of the geophilic species, Microsporum fulvum in human dermatophytosis. We describe a new case of infection with the species in an Iranian young man. 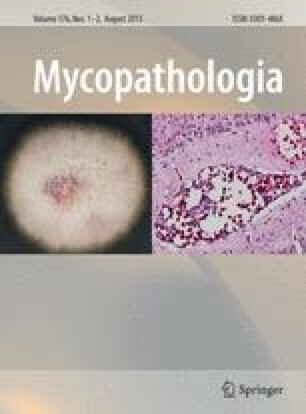 Direct examination of skin scrapings revealed a tinea corporis, and morphological study of the recovered isolate from the culture resulted in the identification of M. gypseum. However, PCR amplification of ITS1-5.8S rDNA-ITS2 region and subsequent ITS-RFLP and sequencing were indicative of M. fulvum as the true causative agent. To recognize M. fulvum in human infections and to validate the morphologically distinguished isolates of M. gypseum, the genetic-based identification is strongly recommended.